Harry C. Veryser was the director of graduate studies in economics at the University of Detroit Mercy from 2007-2012. In 2009, Prof. Veryser was appointed Treasurer at Thomas More College in New Hampshire. He was the chairman of the Board of Directors of Stampings Inc., a light manufacturing concern in Fraser, Michigan with a division in Harlingen, Texas, from 1987 until its merger with Spring Engineering in 2005. 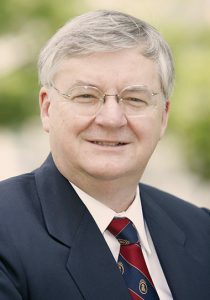 In addition, he served as chairman of the economics and finance department at Walsh College for twenty years retiring in 2007 with the rank of Distinguished Professor. 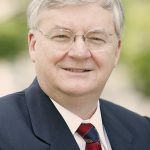 Mr. Veryser has served on the faculties of Northwood University, St. Mary’s College-Orchard Lake, Hillsdale College, Ave Maria College, Thomas More College of Liberal Arts, Rochester College and the University of Detroit. At which he taught courses in economics, history, ethics and philosophy. He received his undergraduate degree in Philosophy and Economics and two Master of Arts degrees in Economics and Religious Studies from the University of Detroit. He held the rank of Associate Professor of Economics and Finance at Walsh College. His articles have appeared in The Detroit News, The Intercollegiate Review and The University Bookman. He is the author of Our Economic Crisis: Sources and Solutions. His latest book, It Did Not Have to Be This Way: How the Principles of Austrian Economics lead to Peace and Prosperity, has been published by ISI books in 2012.